For me, quotes have always been a really great way to reconnect with my deepest heartfelt intentions. I use them as a talisman and love to connect to the energy of the quotes. 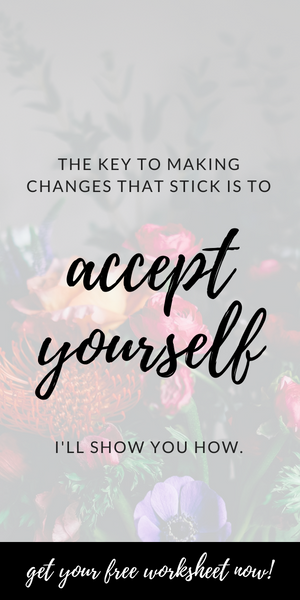 And since one of the things I know for sure is that self-acceptance is critical on the path to personal and spiritual growth, today, I’ve got a collection of self-acceptance quotes and affirmations. I encourage you to use the self-acceptance quotes and affirmations in any way that resonates with you. Pin them on Pinterest, put them on a sticky note on your bathroom mirror, or, perhaps even meditate on them. No matter how you use these self-acceptance quotes and affirmations, my hope is that they will inspire a deeper sense of self-acceptance. Without further ado, here are my favorite self-acceptance quotes and affirmations. I choose to love and accept myself. I AM willing to accept my wholeness. I bring consciousness instead of judgment to myself. I accept and love myself the way I am. I celebrate all of who I am. I deeply approve of all that I am. I approve of every single part of me. I accept and forgive my flaws. My opinion of me is the only opinion that really matters. I do hope that you have found these self-acceptance quotes and affirmations to be helpful as you walk your path of self-acceptance. If you need some step-by-step guidance on HOW to accept yourself, be sure to check out my eCourse, Shadow + Light.